Click the Move icon (the arrow) to open the task and then click the step you would like to move the task to. You can also quickly move a task to another step by clicking on the “Step” field on any task. 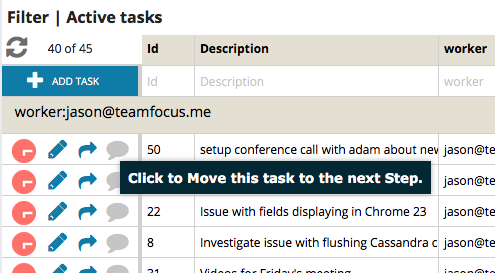 If you’d like to move a Task to a different workflow, see Moving tasks between workflows.